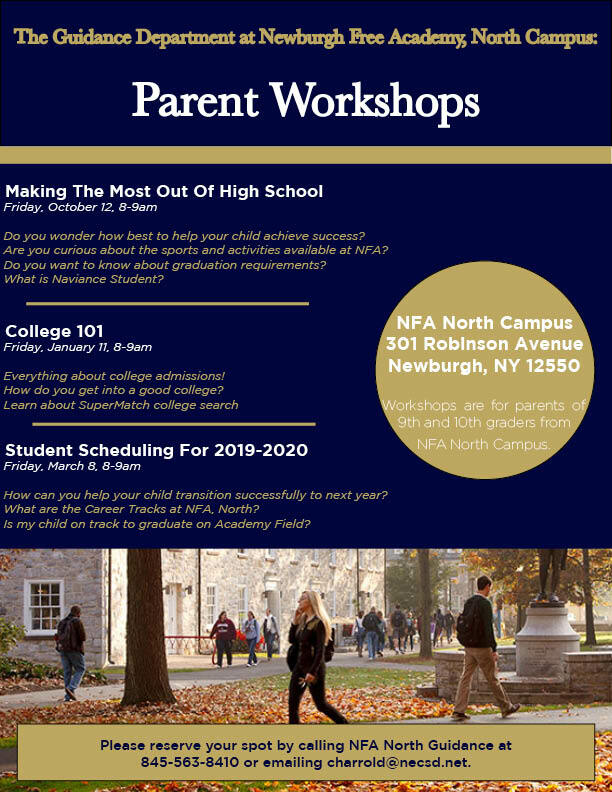 will be sponsoring Parent Workshops! Are you curious about the sports and activities available at NFA? How do you get into a good college? How can you help your child transition successfully to next year? What are the Career Tracks at NFA, North? Is my child on track to graduate on Academy Field? Please be sure to attend, REFRESHMENTS WILL BE SERVED!